Headed back to your room from a busy day at the park, it's not unusual to think about stopping for a nightcap before hitting the sack. A nightcap is an alcoholic beverage meant to warm and sooth you before going to bed. Frequently people choose something with a higher alcohol content, usually a liqueur or spirit. Traditional nightcaps are brandy or a cream-based liqueur or a bourbon. However Wine or Beer are also more and more common these days. 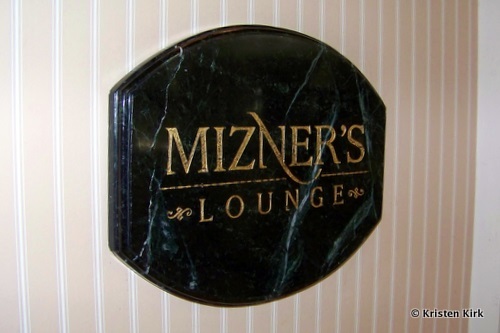 When I'm at WDW, the following three Lounges are my favorite spots to imbibe. When the crowed clears out after the Fireworks, this Lounge becomes the perfect spot to toast the end of your evening. It's mod decor and jazzy music accompanied by a view of the Magic Kingdom that can't be beat. It's a treat that not all WDW guests have access to, but when you do, be sure not to pass up the chance. They also serve a chocolate cake that's beyond heavenly. Just below the main lobby, yet perched above Boma, the Victoria Falls Lounge is always gifted with low lighting and a friendly bar keep. This is my top pick for that night cap when I'm solo. Not far past the elevators this small lounge offers an upscale feeling and ample seating and a comfortable bar to relax at. When you're just not ready to head back to your room this is a phenomenal place to wind down. 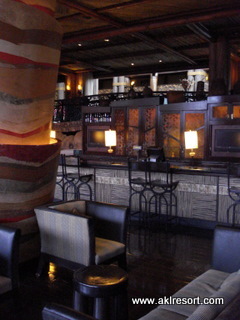 You could also take your drink and enjoy it by the lobby fireplace. This my favorite spot to share a night cap with friends. There's comfortable seating around low tables with lots of room to set your glass while you have a late night nibble on their special nut mix. It's darkened lighting an recessed floors help to set it apart visually from the glistening lobby bustling with weary travelers. A view of the beautiful Grand Floridian Courtyard twinkling with fairy light help visitors to relax with their drink before making their way back to their room. Mizners has an excellent selection of Port, Sherry, Burbon and Conac. Whatever you're drinking the concept of a nightcap is not just another round. It should be a special, almost ceremonial way to finish the night. 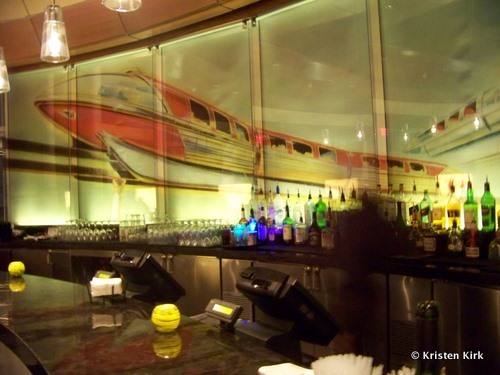 Quiet lounges, out of the way, and with a relaxing atmosphere are the perfect place for a nightcap at Disney World. Leave a comment and let me know what your favorite nightcap is! Thank you for this information! I'll definitely try the one at AKL since we'll be staying there. Just might have to try Mizners as well. Top of the World Lounge is by far my favorite! The views are phenomenal and Mike makes a mean martini! A close 2nd would be The Bellevue Lounge at the Boardwalk. Comfy couches and a great atmosphere...I must visit! Territory Lounge and Bellevue Lounge are tied for my family. Both are quiet and relaxing after a long day at the parks. Bell Vue always a fav for us at the end of the day...Crews club at Y&B is a nice little quiet find also...late afternoon Crews offers GREAT Lobster sliders!